Our Price $45.00 Another currency? 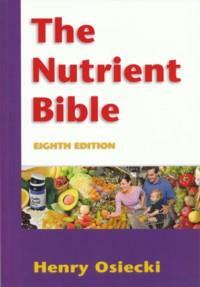 The Nutrient Bible is an invaluable text providing extensive profiles of over 100 vitamins, amino acids, minerals, enzymes, contingent nutrients & toxic metals. Contains invaluable listings linking hundreds of illness & disease states with the vitamin, mineral or amino acid required for therapeutic use.